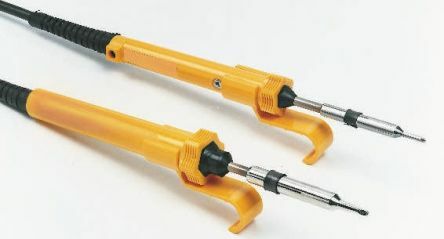 RS Pro 40W Soldering Iron is a high performance soldering iron with the latest LED technology. Four LED's deliver light to your workpiece for superior accuracy. The soft grip, non-slip handle provides a more stable and effective way to control the tip position. 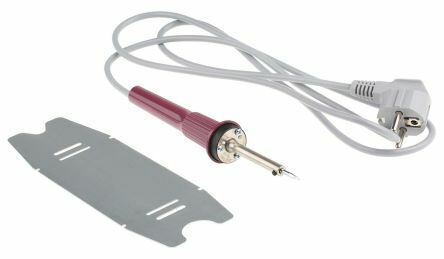 The soldering iron delivers both comfort and flexibility and designed to relax the hand during extended use. Why would you choose an Electric Soldering Iron? The RS Pro 40W Soldering Iron is a low-cost tool, ideal for hobby models, small appliances, small engine repair and crafts.